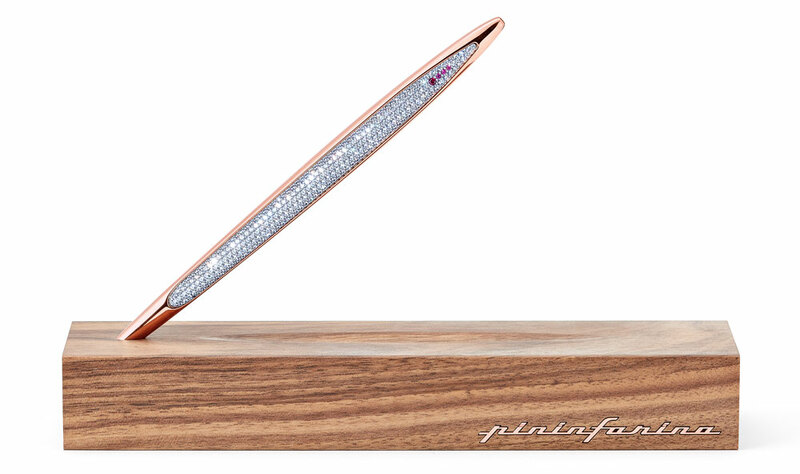 After the successful participation in September 2018, Pininfarina Segno returns to shine at the European Show for Gold and Jewellery, scheduled in Vicenza from January 18th to 23rd 2019, with its exclusive limited edition Pininfarina Cambiano Diamond Edition stylus. The Italian and international excellence of the gold and jewellery sector will therefore be protagonists in a world-class event, 6 days in the sign of new trends and inspiration, in an exhibition area of over 59,000 sqm, with more than 36,000 visitors from all over the world, including international buyers, producers, designers, journalists and opinion leaders from over 130 different countries. Pininfarina Segno will propose to the public of Vicenzaoro January the most precious version of the now famous Pininfarina Cambiano, made by the skilled hands of Vicentine goldsmiths, who, for a total of 60 working hours dedicated to each single piece, have encrusted one by one 590 brilliant-cut diamonds, for a total weight of 8.28 carats. Cambiano Diamond Edition is made even more unique by a body in yellow gold 750, wings in palladium white gold and a box in solid walnut wood. At the Vicenzaoro fair it will be possible to visit the Pininfarina Segno stand inside the Glamroom, the area dedicated to “contemporary jewellery”, hosting the companies which present versatile and contemporary lines, the result of innovation and design research. Come and visit us from January 18th to 23rd at the Glamroom, Hall 1, Stand 413.